Directed Drawing for Digital Tech! Posted on October 30, 2017 by F.H. 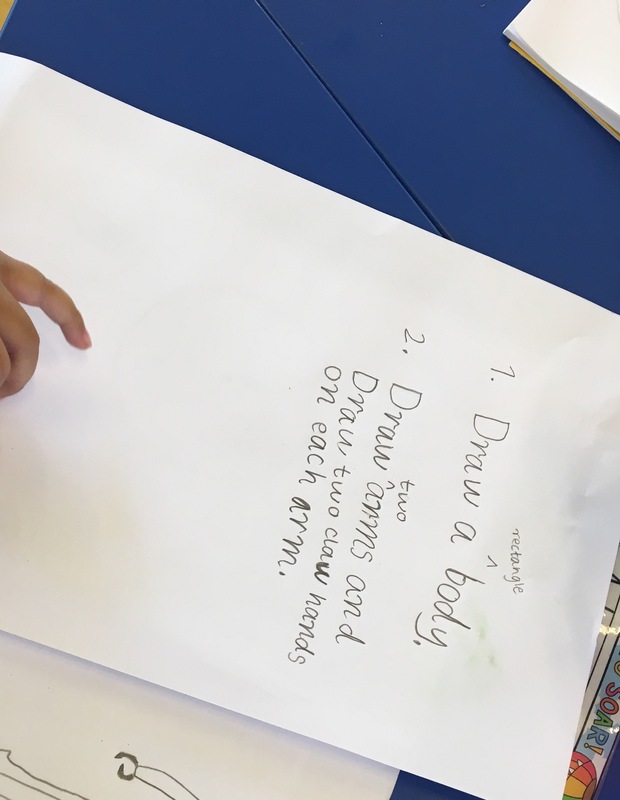 In Year 1, our Integrated Studies topic is all about creativity, specifically about robots and the creative elements that they have. One of the first tasks was to draw exactly what I told them to. I was very vague with my instructions, only telling them the shape – but not the size or position, which meant that no drawings actually looked like a ladybug at the end. 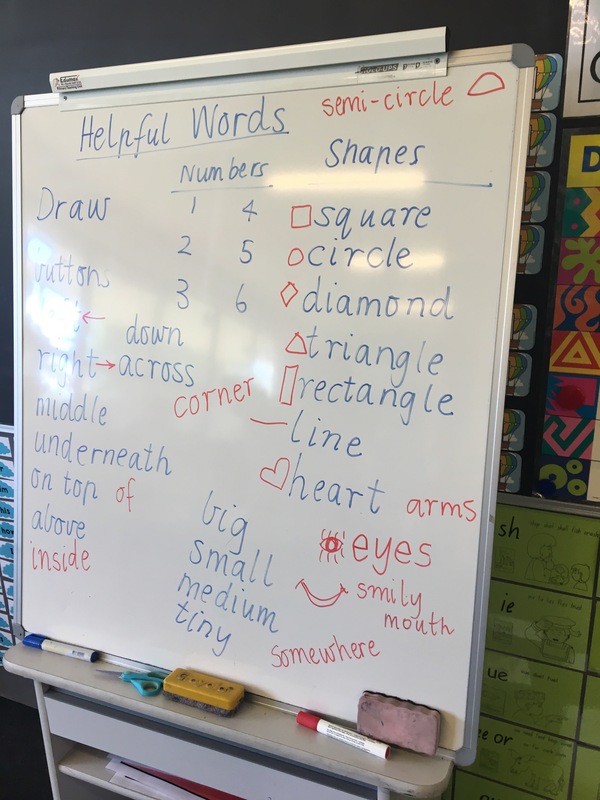 I then asked students to draw what they thought a robot looked like, trying to use shapes that they we brainstormed so it would be easier to describe later. 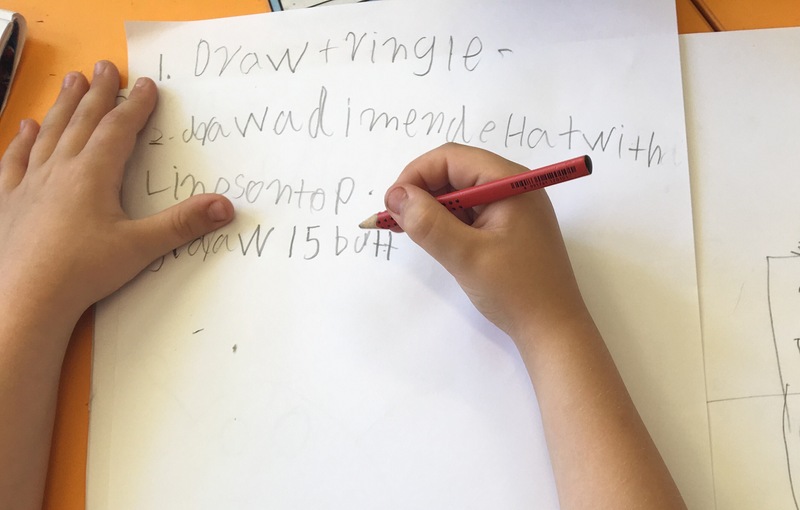 Then the students wrote a set of instructions to direct another person as to how to draw their robot. 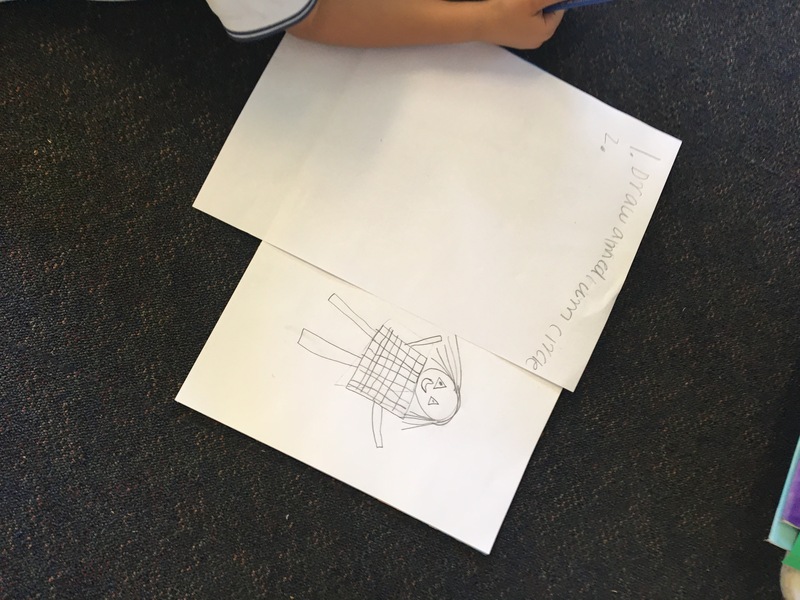 I told them that I would share the instructions with other students and classes and then we could compare their robots with the original robot drawing!